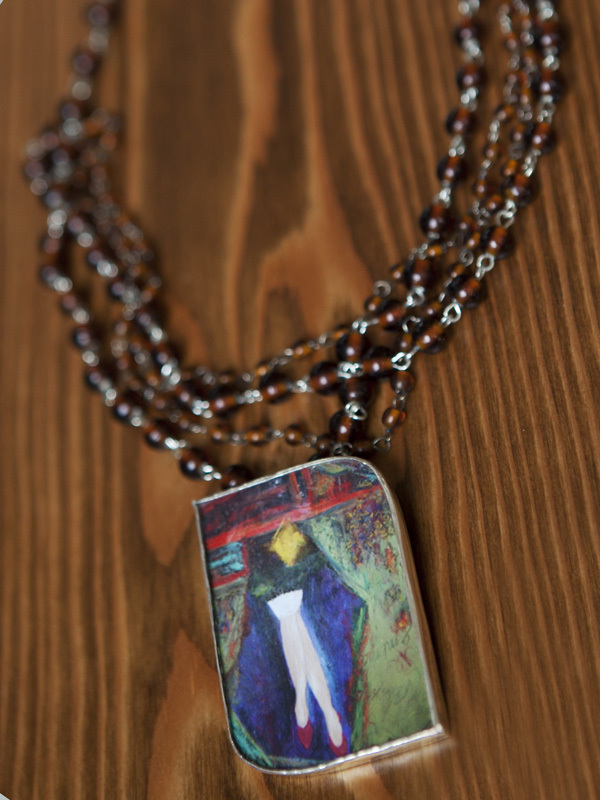 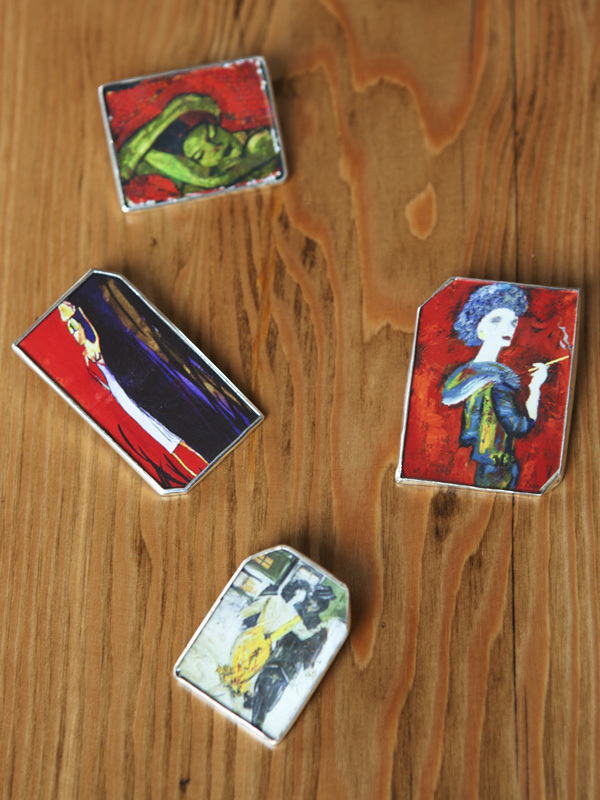 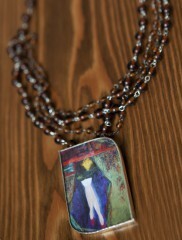 Each pendant is a miniature photo of Keren’s original oil pantings, set in sterling silver, with a bail in the back to make the pendant removable. 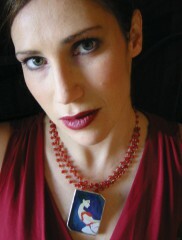 Pendant comes on a multi-colored signature glass bead necklace. 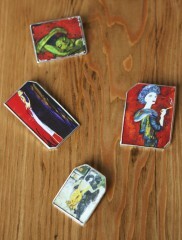 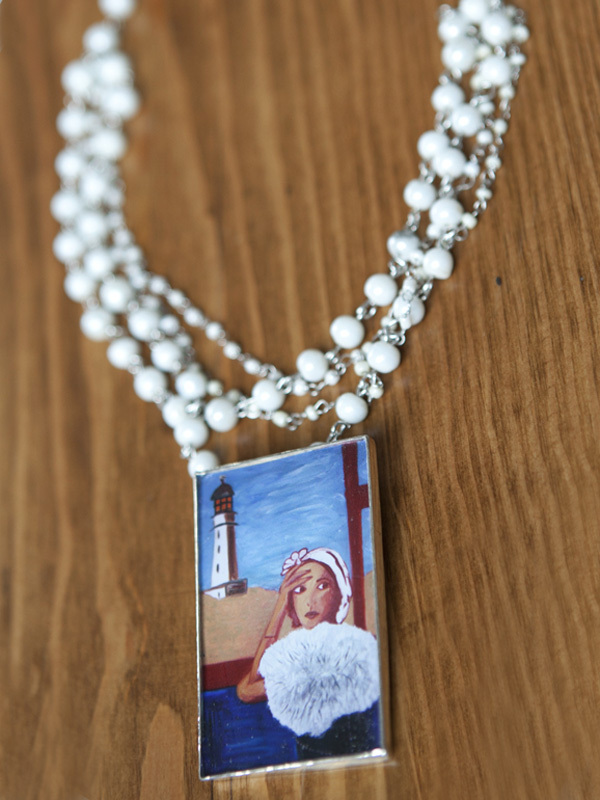 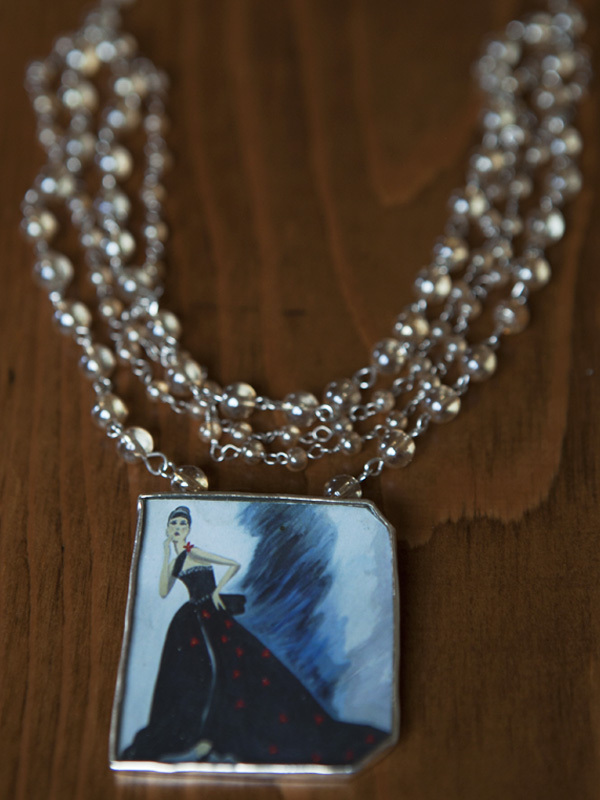 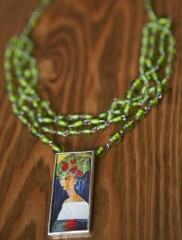 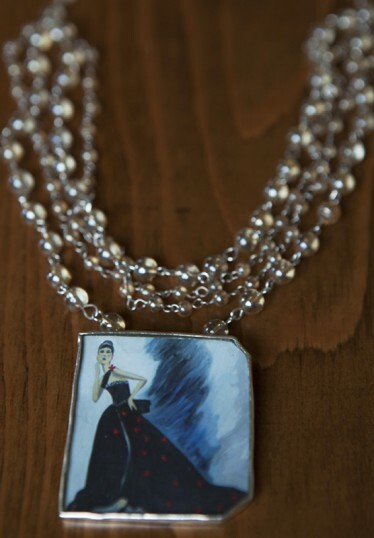 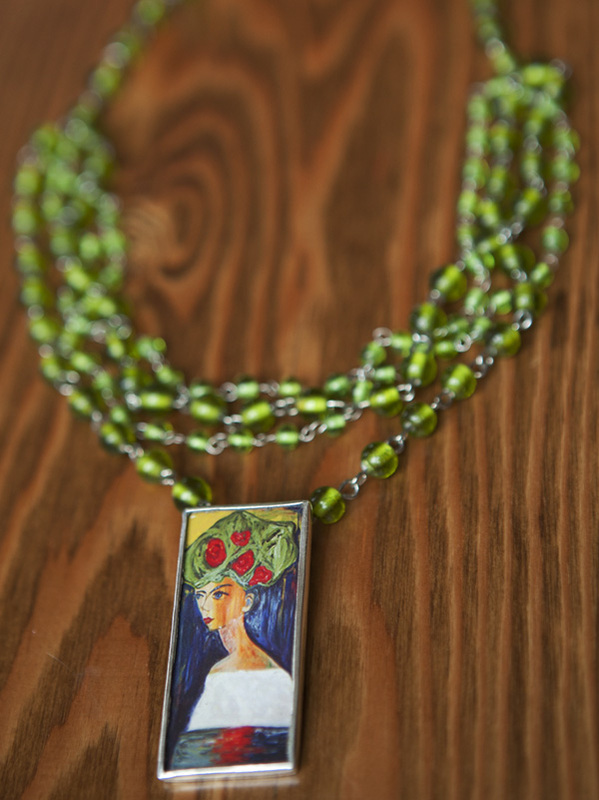 Could be worn on varying necklaces, from pearls to hanging on a chain or leather cord.